Hiring professional Al Dana movers is important if you want a move to go smoothly. Experienced, well-trained individuals understand the removal process, so they’re less likely to make mistakes. At First Removalists, we have worked on several moves into and out of Al Dana. Our experience ensures all shipments reach their destination on time, without any damage. If you’re looking online for reliable “cheap removals near me”, we can help so don’t hesitate to call. It’s easy to underestimate how much time and effort goes into domestic relocations. These assignments do require a lot of careful planning to ensure shipments reach their destination without damage. Unplanned removals have a higher chance of going awry, regardless of how skilled or experienced a removalist is. Our relocations team will create a custom plan, pack all items, load them securely, before transporting them. All domestic locations like Abu Dhabi, Dubai, Sharjah, Ajman, etc., are served so just tell us the origin and destination addresses. An expert team of movers will take care of everything else. 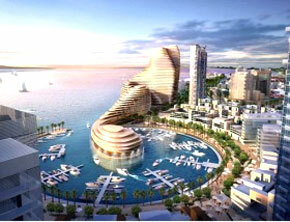 International relocations are very complicated because they involve regulations of different countries. Every nation controls what comes in or goes out of their borders to protect their citizens. They have a thorough system in place to manage this seamlessly and if we don’t follow this system, items can be sent back. 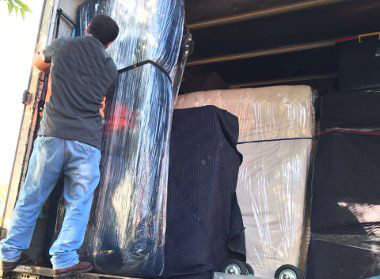 Our experienced team of good quality Al Dana movers are familiar with this process. They will pack and label all items according to regulations, make sure all paperwork is accurately filed while arranging for reliable overseas transportation. 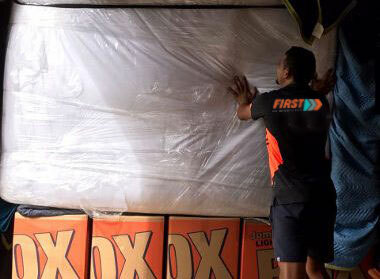 First Removalists have carried out moves to destinations like Australia, UK, and US several times so if you’re looking for trustworthy professionals, we’re a good choice. An experienced logistics team takes note of everything a client needs and our on-site removal team carries out the physical move. No matter what the destination is, you can expect us to do a good job. We’re a one-stop shop for all relocation requirements, so clients don’t need to contact multiple vendors for their moves. You can book one or a combination of services mentioned below at an affordable price. Commercial low-price Al Dana movers – Business owners want moves to be completed quickly and without too much disruption. This requires good planning along with experience. Our commercial relocation team will pack all items securely, create a master list so they don’t lose track, and transport. We are accustomed to working with business owners and understand their priorities well. Residential removal company in Al Dana – Residential relocation is always a stressful time, which is why we attempt to lighten the burden as much as possible. An expert team of professional Al Dana movers takes care of every aspect; packing all possessions carefully, loading them without damaging your property, and transporting them in a timely fashion. This allows clients to focus on other aspects of a move or just take a break. Affordable furniture removal – Furniture pieces are difficult to transport because they can’t be placed inside cardboard boxes. Our removalist disassembles large pieces, wraps small furniture as well as disassembles components, and makes sure all items are safe to transport. 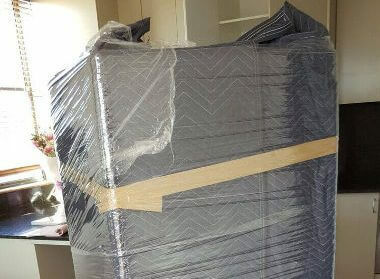 Packing/unpacking services – As one of the best removal companies in Al Dana, we know how to pack/unpack shipments. 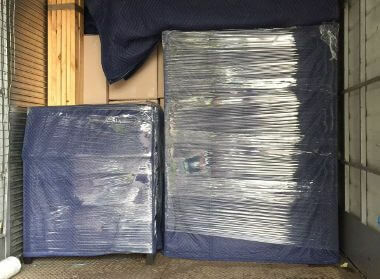 An experienced team of trained professional uses good techniques along with great quality packing material. This ensures nothing is damaged during a move. 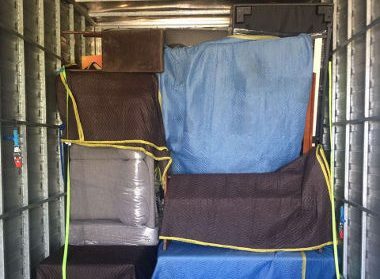 We use specialised techniques for international relocations, so all shipment survive long journeys without problems. 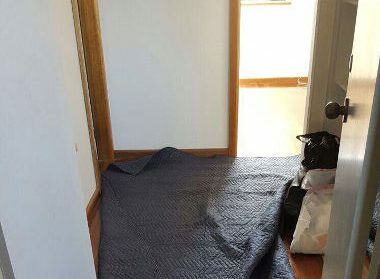 Storage by cheap removals company – Sometimes clients require temporary or long-term storage solutions because they have no room to house all their possessions. We provide personal, commercial, and vehicle storage solutions at reasonable costs. All units have great security as well as efficient access-control. First Removalists also provides packing or transport along with storage on request. We also offer excellent customer service with well-trained agents ready to provide assistance at all times. You can call to get more information on different plans levels, services, destinations, etc. Our customer care executives also provide a detailed quote with no hidden costs for all services. Just explain your requirements and we will handle the rest. As a licensed removal company in Al Dana, First Removalists takes customer satisfaction seriously. All services are covered by a comprehensive insurance policy so our clients have additional protection from accidental damage or loss. At First Removalists, you get the best affordable Al Ain movers with ample experience and exceptional skills in this field. If you want to know more about our services or need advice on a move, contact us through our online form or call us on 0525 633 557.